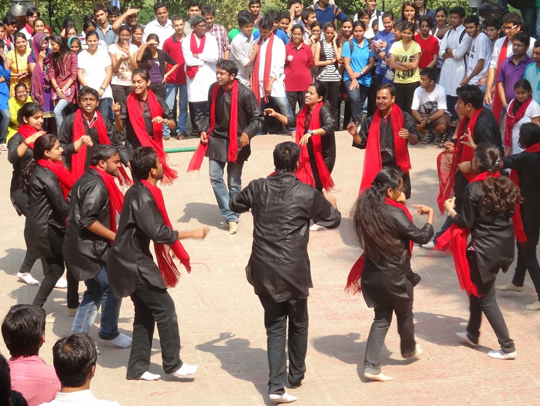 Concept of Nukkad Natak in Advertising in Delhi,Nukkad Natak in Advertising Agency in Delhi. A well organised skit or drama plays by a group of well rehearsed people from thetre or drama group who can draw attention of general public or set of people on certain issues or topic known as nukkad natak. The people who perform in it are those people who have been doing this task from some years, well trained and experts in their fields. Tntp Agnecy is the pioneer in arranging nukkad nataks across the Country. Turn towards Proclamation” (ONE CLICK Ad Agency) brings unique innovative and creative expertise in marketing to help you spread the word and educate people about the subject through customised skits. It implements strategic campaigns successfully on target markets. TnTP toil hard to reach out to the people and convey the message and at the same time paving the path for the company to penetrate into the larger section of society. A campaign if executed correctly can prove to be a stupendous force in enhancing the brand/concept awareness of the company along with promoting services and generating leads. We believe that doing things in the right way is more important than just doing the right things; we at ONE CLICK Ad Agency provide you the right path to reach your target audience.